Panama City Beach & Destin and surrounding areas. Beaches, parks, lakes, yards...I can work up to (40 feet of water) Certified diver, call to discuss any water searches. I have been metal detecting for over 20 years on land and in the water. I look forward to helping you find what you thought was lost forever. 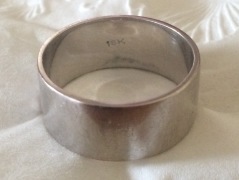 My husband was playing ball and lost his wedding ring!! IN THE OCEAN. The waves were extra wavy that day, too. Anyway, I couldn’t just “let it go”. There had to be a way to get the ring back. So I went on Craigslist for PCB and searched “lost and found”. Most of the ads were for missing/found pets. BUT I found RJ who has a metal detector! He came out the next day, My husband showed him about where he lost the ring, and within 15 minutes RJ found the ring!! I can’t thank you enough RJ!! Today playing catch with Charlie and Will in the water at Rosemary Beach, my wedding rings flew off my hand and sank into the ocean. We were about 60 feet out from the shore on the second sand bar. Both of our families plus other swimmers searched over and hour but no one could find them. 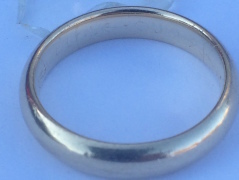 Then heaven sent Rj Williams (https://theringfinders.com/blog/Rj.Williams/) around 4 in the afternoon with his underwater metal detector & scoop and he found BOTH RINGS in under 5 minutes!! It was truly a miracle and he is AMAZING! Keep this name and number in your phone and please pass it along if you are traveling to the Florida beaches. We can’t thank him enough. Thank you Rj Williams and your sweet wife! !